Girls on a Montgomery County recreational basketball team high five Carter Witt ('18) before a game. The Youth Teams program aims to expose recreational basketball teams to high school varsity basketball. Photo courtesy of Anna Krush. The first time point guard Lexi Fleck heard basketball head coach Peter Kenah’s pre-game talk in the locker room, she was only in third grade. When Fleck joined the team as a sophomore this year, she already knew the team’s traditional cheer by heart. 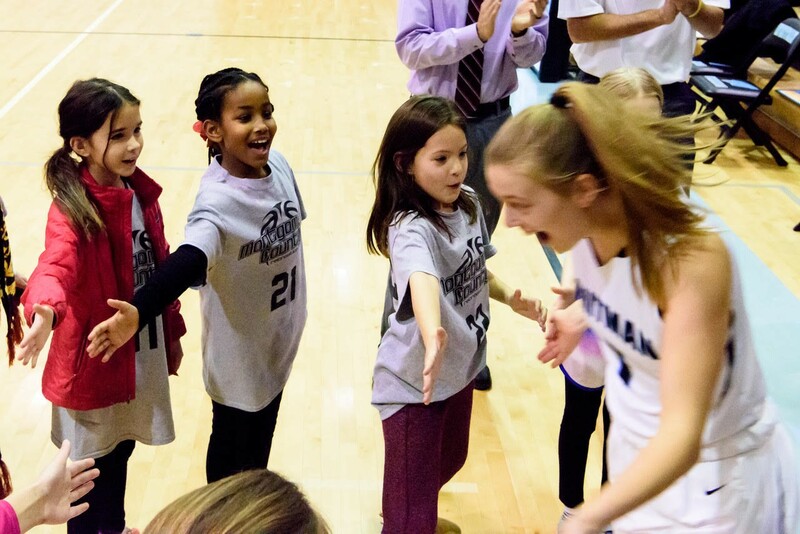 Started by elementary school parents 11 years ago, the Youth Teams program brings elementary and middle school recreational basketball teams to watch Whitman girls and boys varsity games. Fleck’s older sisters encouraged her and rec team to join Youth Teams after they had participated in the program years before. The program aims to expose young players to high school basketball—specifically Whitman’s basketball program—and get them to fall in love with the sport early on. 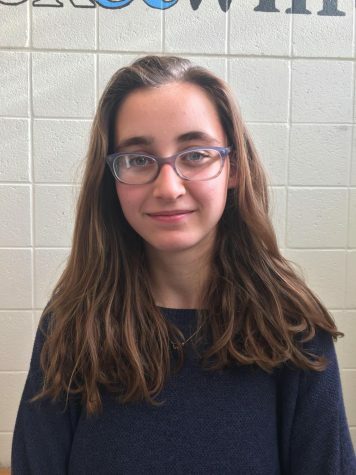 Kenah and boys varsity head coach Chris Lun estimate there are around fifteen teams involved in the program each year, and many familiar players return to try out for the varsity teams, Lun said. Each year, a parent volunteer is put in charge of contacting teams from across Montgomery County and inviting them to participate. While recreational teams in the program have the option to attend multiple games, each team has a designated home game for it. Participating boys and girls don’t just watch the games—they get to join in on the team’s traditions, from listening to the pre-game talk to high-fiving the starters when they’re announced. “A lot of the time they’ll do some funny things and run around, and it’s a nice way to relax before the game,” guard Anna Krush said. Hearing the cheers from the kids motivates players to perform even better in games, boys guard Jaden Pierce said. Pierce also appreciates the players’ eagerness to be a part of the pre-game handshake. Both Kenah and Lun said they hope the program gives the rec players positive role models.